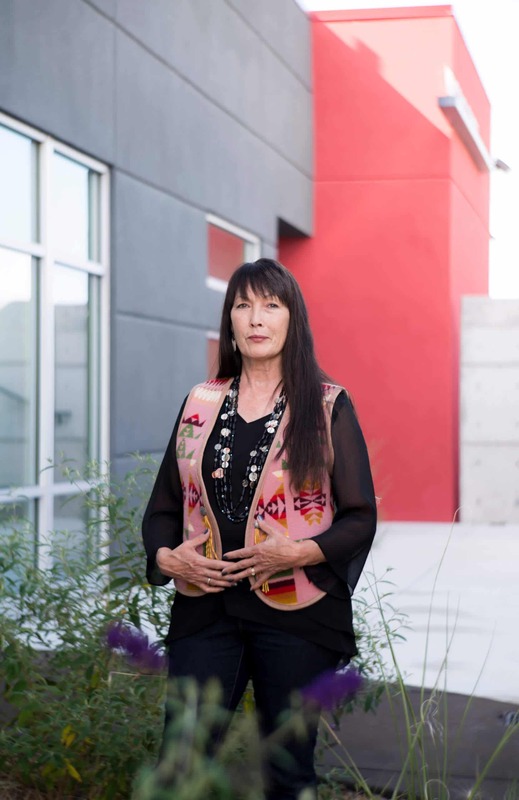 I am Charlene Teters, the Academic Dean of the college at the Institute of American Indian Arts. I am a citizen of the Spokane Nation and well known for my work as an artist, writer, educator, and activist. I earned an Associate of Fine Arts from IAIA in 1986, a Bachelor of Fine Arts from the College of Santa Fe in 1988, and a Master of Fine Arts from the University of Illinois Urbana-Champaign (UIHC) in 1994. In addition, I was awarded an honorary Doctorate of Fine Arts from Mitchell College, New London, CT.
After establishing the Racial Justice Office at the National Congress of American Indians, I returned to IAIA in 1992 as Director of Alumni Relations and Student Retention—and later was appointed as a full-time faculty member in the Studio Arts Department. I was promoted to the rank of Associate Professor in 2013. Additionally, I served as a Visiting Lecturer in the Art Department at the Ohio State University and received a two-year appointment as the Hugh O. LaBounty Endowed Chair at the California Polytechnic State University in Pomona, CA. In 2000, I was appointed as the Interim Dean of the Academic Division during IAIA’s transition and move from the College of Santa Fe campus to our new campus. During my professional career, I have exhibited internationally and maintained an active presence lecturing and delivering keynote speeches and commencement addresses across the United States. I first gained national prominence as a graduate student at the University of Illinois Urbana-Champaign where I led protests against the degrading depictions of American Indian caricatures used as sport team’s mascots and was the subject of the award-winning documentary In Whose Honor by Jay Rosenstein. In 1997, Peter Jennings, ABC World News Tonight anchor, honored me as “Person of the Week”—and in 2002, I received a New Mexico Governor’s Award for Excellence in the Arts.